On 23 October 2018 President Xi JinPing from P.R. 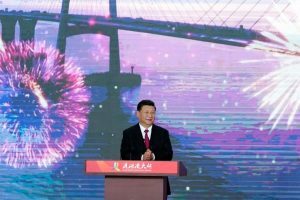 China attended the opening ceremony of the Hong Kong Zhuhai Macau Bridge Link. After 9 years of construction this major 55km long infrastructure project, comprising various challenging bridge and tunnel portions. 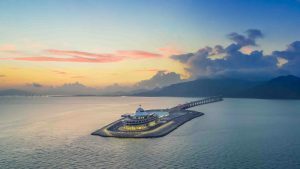 Tunnel Engineering Consultants (TEC), a JV of Royal HaskoningDHV and Witteveen+Bos from the Netherlands, were involved in the project as the Consultant to the Client Organisation HZMB Authority for the marine section comprising an approx. 6km immersed tunnel, currently the world’s longest and 3 artificial islands. The project is considered as an international landmark in civil engineering. TEC is proud and grateful to have been involved in this challenging project and congratulates our Client HZMB Authority and the Construction team, led by the Chinese Contractor CCCC with this great performance.